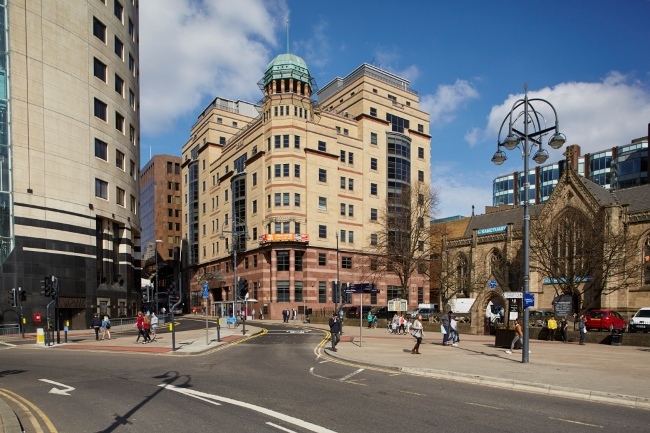 Serviced office provider, Gilbanks, is to launch its first flagship project in central Leeds this year. The Yorkshire-based property company has taken 20,000 sq ft of prime office space at One Park Row in the heart of the city’s professional and commercial core. Gilbanks is embarking on a multi-million pound refurbishment of its space at One Park Row, creating an aspirational, flexible and contemporary working environment for expanding businesses wishing to focus on productivity. Gilbanks managing director Alex Duckett said: “This is a significant deal for us to start our journey. One Park Row is one of the most iconic and sought-after office addresses in Leeds and we have engaged world class designers to transform our new space, spread over two floors, into something very special indeed. “We are responding to a significant change in working practices over the past decade, which has been driven by the revolution in technology. This has meant the days of the traditional leasehold office are numbered, as are the days of the 9-5 office hours. It is productivity, not desk occupation, which matters. “We are acutely aware of the benefits of staff well-being, which flourishes in a positive community and holistic office environment. Gilbanks wants to attract occupiers who embrace a modern working atmosphere which will inspire their employees,” said Mr Duckett. Gilbanks are about to start on the significant refurbishment of One Park Row, which will be completed by September of this year. The building will also feature a health and well-being studio, a sky terrace over-looking City Square and nutrition-focussed delicatessen. Other occupiers at One Park Row, which is owned by the Evans Property Group, include Pinsent Masons, Barclays, Rothchilds and Ahead Partnership. Gilbanks co-founder, Oliver Corrigan, who already operates over 75,000 sq ft of serviced offices in Yorkshire, said: “One Park Row has the perfect pedigree of building and is the ultimate location to launch Gilbanks. It will offer customers a new class of workspace in the absolute heart of Leeds. Alex Duckett added: “Creating a dynamic office environment where creativity is encouraged, where work becomes a pleasure and facilities align with business and personal values is what we specialise in.